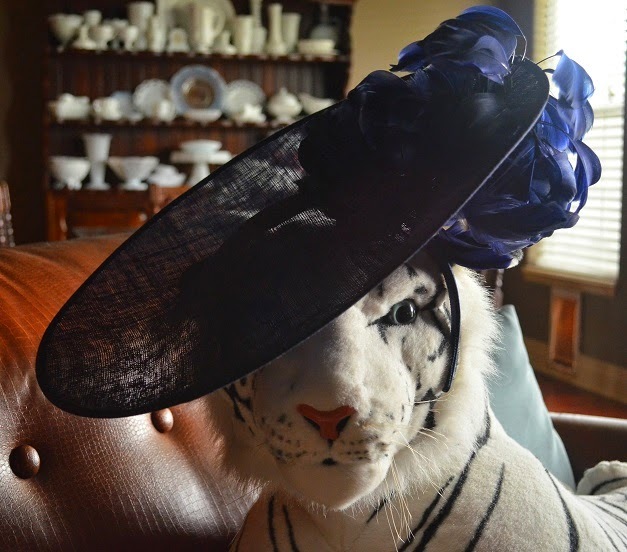 This spring season started like it always does - with a new Easter bonnet. Surprisingly, this year it did not come from Dillard's. 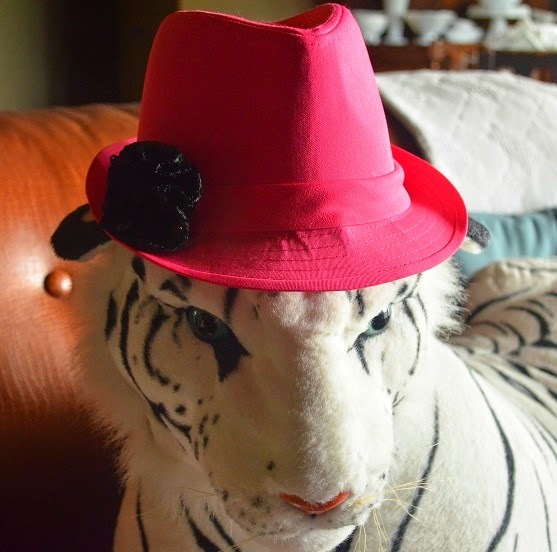 Because of all the flux between moving, finishing the school year, and packing for our trip, I actually ordered my hat online. 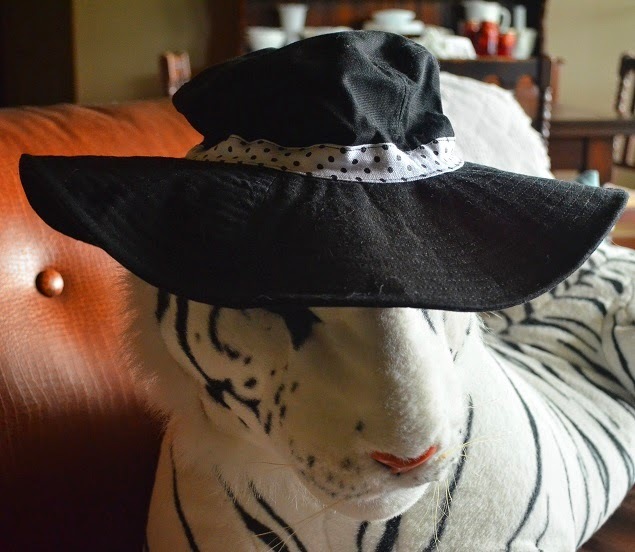 The black & white polka dotted sunhat is what I wore to a Senior Party for some friends' daughters that I co-hostessed. 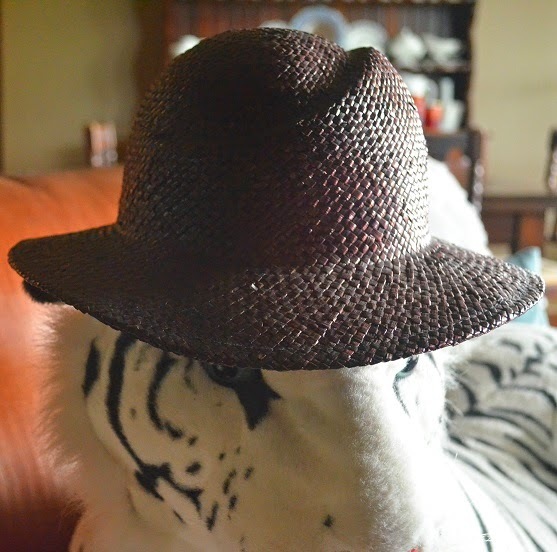 It was perfect with my polka dotted dress and no one needed to know that the hat came from a CVS 90% off summer clearance sale. 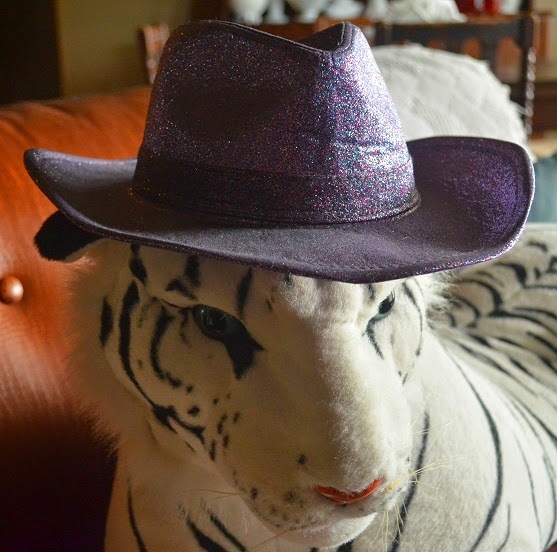 I picked up this purple straw fedora from a garage sale for $.50 I think. 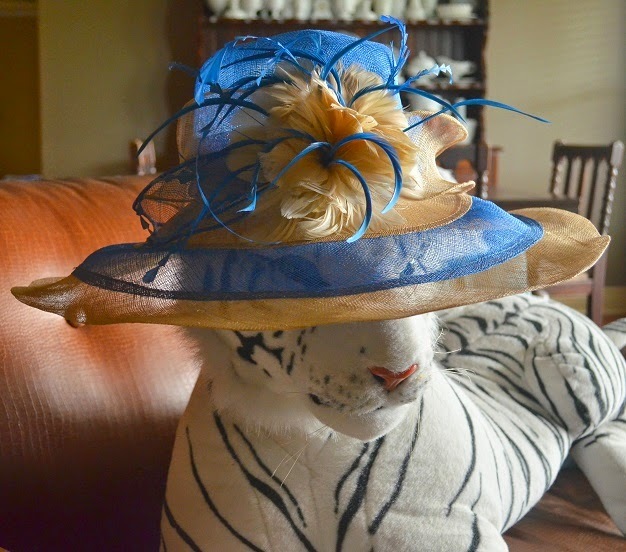 This delicious hat was won from the fabulous Ms. Michelle over at Life on the Horizon. It is a Belle of the Brazos creation and I love it! I wore it to our going away soiree. I had so many compliments as well as threats to steal it off of my head! I picked this (white & gold) one up at a garage sale for pennies. 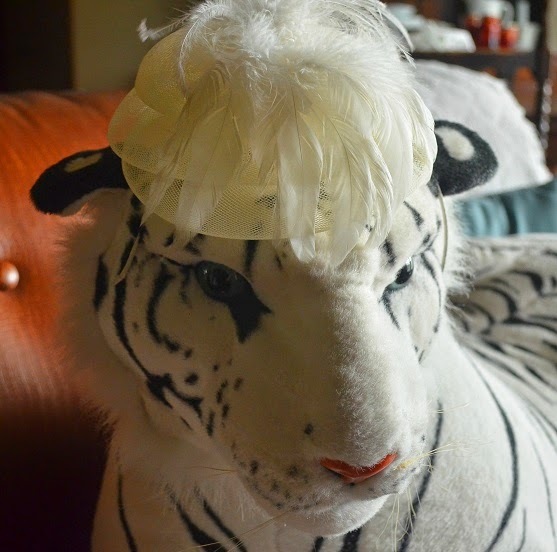 While in England, we picked up several fascinators and hatinators (which are all the rage.) This cream one is actually Diva's. Another fabulous blue feathered hatinator I picked up in England. What a nice collection. 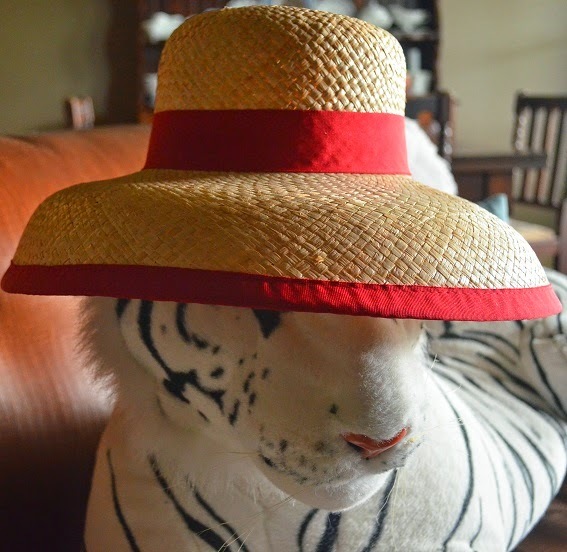 I only have one...a straw hat I bought at Sea World to keep me cool, and had planned to use while summer gardening. But I can't find it anywhere! 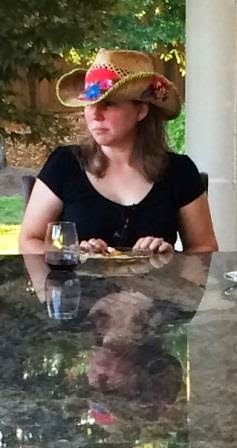 How do you loose a big, wide brimmed straw hat? Oh gosh, for a second there I thought that was a real tiger! 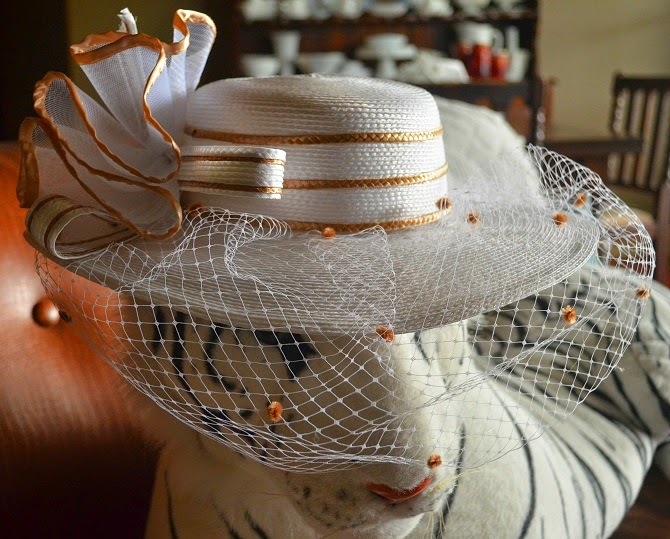 Perfectly fabulous hats! Your desire for wearing hats must come from living in England for so long! Wish I could pull it off!